Google is known for its highly developed features that provide its users wide varieties of features. On March 2017, Google has launched a privacy detector feature, where its users will actually be able to share their movements with their friends and relatives. Google Maps is that very feature that is ensuring this facility to its users. In these days the act of sharing every detail on social networking site with your friends and relatives by posting pictures and videos has become very common. So, Google by introducing Google maps have taken a step forward in this regard where people can easily share their exact location with whomsoever it concerns. This feature is already installed on almost every smartphones and there is an update from Google that says this feature will also be available on personal computers. With the help of this enticing tool it will be more easy for people to let others know where they are without having to opt for text or call. This is a very big advantage as any emergency situation can be avoided. To this Ruth Glenn, executive director of the National Coalition Against Domestic Violence has seconded that this application has both positive and negative connotations. All emergency situations can be avoided being easily able to catch up with people. On a humorous note this can create drastic problems for those who are in relationships, married, as they might have to be constant under the supervision of their partner. Even parents can be sure of where their teenage children are putting up by asking them to turn on the application when they are going out. So, this can be really a boon or a curse for different individuals. Vice President of Google Maps has accepted that they are not the first brand who have tried to create something like this. As several tracking applications are available on different devices. Glympse which is introduced by Microsoft have been offering this facility to their user since a long time. Apple also puts forward an option called find my friends on their iPhones, iPads, and even watches and this is probably why Google is not expecting any criticisms especially from them who do not want their near and dear ones to locate them. A very intelligent tactics Google have used to camouflage themselves to be on the safer side of the table. 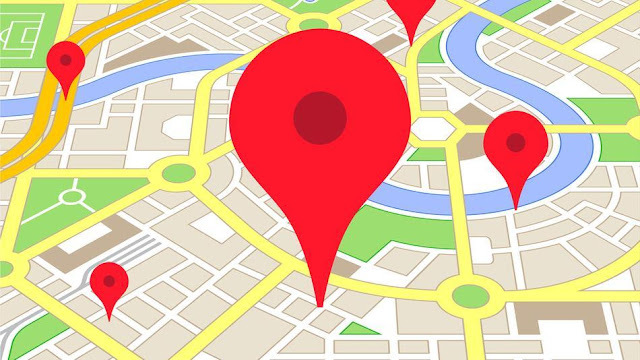 It is very simple to use as the users of this Map will just have to activate the location sharing option by pressing a button available near the search bar and then they can select the person from their contact list whom they want to address their location. They will automatically be informed via a text message. If the receiver does not have the Google Maps application downloaded on their phones, then they will get a link through which they can view the location using a browser. The one who are unwilling to disclose their whereabouts they can make the desired changes in their setting due to which they can determine for how long their location can be traced.